Submitted to a zine my friend is doing based on the theme monsters. Drawn, colored, etc. by myself. 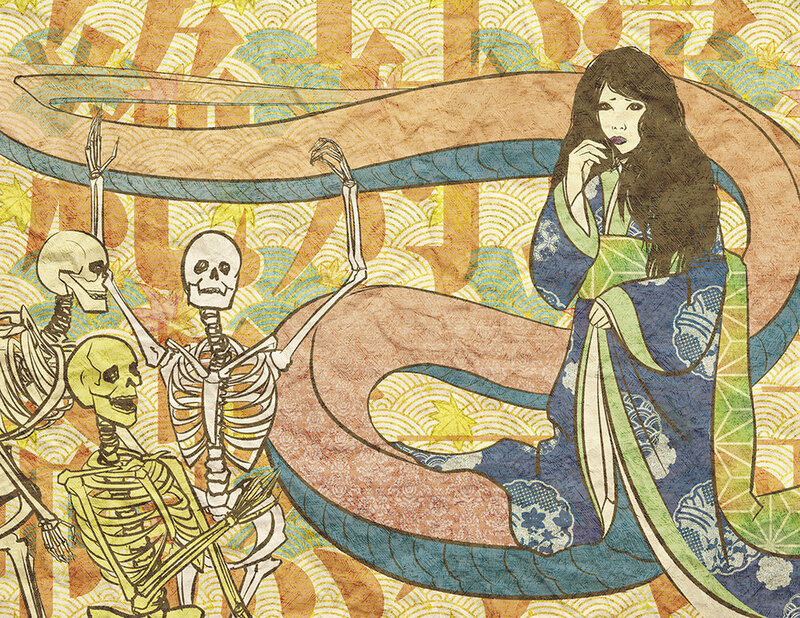 Kiyohime the yokai from Japanese lore.